Which essential plugins to boost your content marketing strategy? If you create and deliver content through a WP site you’ll need crucial WordPress plugins to customise your cms to perfection. I’d say as best as you can. With thousands of plugins to choose from, it quickly becomes impossible to find and select the great from the … not so great. Keep reading and discover which plugins are essential for your WordPress site! I did test and trial experiments with hundreds of different plugins, and I can now recommend which ones are helpful, safe, faster and secure. That’s all you need really. Forget the fancy ones, who will slow-down your website [content] and keep visitors away. You should always test it after uploading a new plugin – preferably test it off-line with a demo platform. Before jumping into the best WordPress plugins to help you boost your content marketing, I’d like to tell a bit more about what WordPress is and isn’t all about. For those of you who know WordPress, I’d suggest jumping to the of the essence WP plugins section. The rest of you should probably continue reading it. WordPress is an open source content management system (CMS) coded in PHP. It was initially created in January 2003, by Matt Mullenweg and Mike Little from the b2 codebase. They created a simple blog editing software. From December 2006 onwards WP became widely popular and surpassed Google Blogger, as people started to write more, they saw the simplicity of creating a blog and how quickly they could go live with their content. As of 2009, WordPress has been the most popular blogging platform turned-CMS. I guess that the free and premium ready-to-install themes and plugins developed by 3rd party developers helped the wide-spread of WordPress. I believe that the main reason for this is, that not long ago it was costly to build and/or redesign a website from scratch, not to mention that people lacked coding and design skills. So, by offering to install (plug-and-play) plugins ready to accomplish these tasks without requiring any coding knowledge was a major promotional factor and the way to go forward. Nowadays, we can find WordPress plugins for almost every single task. So, I thought I’d do a bit of leg work and put this list together and recommend the best or the must have plugins that can automatically add meta tags where is needed, generate internal links, recommend popular posts, secure your site and more. Here, I’ll cover some of the essential plugins for your WordPress – this includes the most powerful and helpful plugins that will take your WordPress content marketing strategy to the next level. Note: the plugins mentioned here are only available for self-hosted WordPress sites; therefore not available for WordPress.com websites. We are going to share the top essential WordPress [ free and premium] plugins available to download. Yoast SEO is one of the best in this industry – also known as the pioneer among its SEO plugins peers. Yoast SEO allows you to quickly go through the essentials of your optimisation process, starting with title and meta tag description. These are ultra important tasks – even more today, as its the first thing search engines bots will visit. I’d say, it is like grooming your pages/blog posts. You can even adds open graph code to your pages and posts. Pros: Very easy to install, offering a simple navigational tab system. The Yoast plugin has over 20 million downloads – making it the most widely used SEO plugin ever. Cons: The setup can be long if you don’t know what to pick within the settings. Until now the tutorials were incomplete, however, I checked [ 28 Jan.2018] and they’ve greatly updated the tutorials. There is a bit of a learning curve with Yoast SEO. You can also upload Yoast SEO plugin free version from your WP Dashboard. Go to “plugins“- click “Add new” and type Yoast SEO. 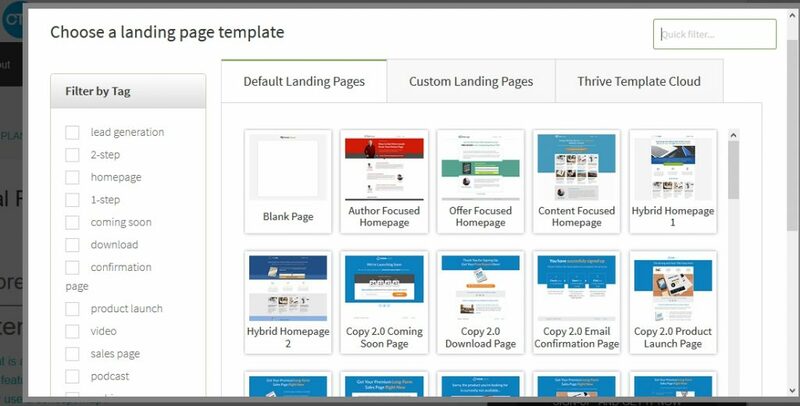 Thrive Content Builder is a 3-in-1 plugin that offers: professional landing, sales pages, opt-in forms and many other great useful templates to improve content conversions. A big concern for many business people is how to create and deliver marketing communications topics that involve the creation of persuasive web content pages and/or how to effectively publish it. TCB plugin can help do just that. Yes, seems impossible but it is true. Whether you want to create sales pages or just create content that will stand out – Content Builder is like having a developper and a designer at your side. Perfect plugin to help create landing and squeeze pages, sales pages and more – it’s versatile, fast and efficient. Before, I never realised how much time I was spending building and waiting for page reloads – I used to get annoyed. With this essential plugin you can seriously create professional webinars, landing or sales pages in under 15 minutes. This plugin will save you huge amounts of time. See pic below. Pros: Easy to use, comes with over 120 landing pages; Light weight opt-in forms – Offers a drag and drop page builder system that gives you the ability to see exactly how your content will look like while you’re building it. Cons: Can’t see any. You must create new content or you must edit the older content. After seeing what this plugin does, I don’t think I could ever work without it. Year ago I didn’t even know it was possible to have this kind of a completely visual editor, but there it is (check the link below for a demo video). You need to watch the video to see it’s capabilities and features. A great simple free plugin – Google XML friendly Sitemaps for WordPress websites and blogs. Sitemap is a friendly file that lists all web pages and blog posts on your site, then will simply inform Google and (of course) other search engines about your website content. Works as a informer. Note: I am sure about having two. If you have any doubts about this go to Yoast SEO > “XML Sitemaps” and unable it. The only thing that matters here is what you have inserted in Google Webmaster. You can also install XML sitemaps for mobile, videos etc. After testing it, Yoast has less granular control over the list of content. In my view Google XML Sitemaps does offer you more options. Google Analytics plugin enables you to track your website’s visitors/pages using the G.A tracking code allowing you to view essential key data. Here you can follow their tutorial How to connect your GA. Among all the plugins W3 Total Cache plugin is one of the kind you can’t afford to ignore either. It will optimise your WordPress cache by organising and taking the heavy traffic on your server away – by storing static HTML files for the pages on your website and only showing them when needed. In other words – W3 total Cache will help speed up the load time and put less pressure on your Web server. As you may know, Google has no mercy for websites that are slow at loading a page, so don’t allow search engines to penalise your site. Note: I tried both WP Super Cache and W3 total Cache and the last one is better. Why? becasue its lighter than any other. Especially if you have a lot of different plugins running on your website, because each plugin initiates another script that must run each time your site loads, increasing the website load time. Also remember to disable W3 total Cache when making making design changes to your website, so you can see your design changes in real time, rather than seeing a cached version of your old pages. Pros: Very effective plugin – integrates well with any other plugin. Cons: Setting up W3 total is a little complex. However, you can google “How to best setting w3total” and you’ll find a post. This is a must-have plugin for your WordPress website or blog. Akismet is a spam protection plugin that checks your comments against the Akismet Web service to see if they look like spam or not. Akismet spam protection plugin has been downloaded over 18 million times – that’s amazing. Other excellent free option you should consider is Disqus. Free for personal blogs – Paid version for businesses. Click to Tweet plugin will enable you to create tweetable content phrases directly from the blog posts – by adding “Click to Tweet” within your post, you will increase engagement and drive potential traffic to your content marketing. All it takes is a single click to add a Click to Tweet box after a noteworthy quote, message or statistic. Pretty Link is the make-up artist when it comes to transform ugly links into clean ones. You can shrink, track and share any URL on the Internet from your WordPress website! In addition to creating clean links, Pretty Link also tracks every single hit on your newly written URL and provides a detailed report of where the hit came from, IP and page. This is a great plugin for those who want to clean up their affiliate links, track clicks from emails, or simply increase the traffic of their website by spreading these links on forums or comments on other blogs. Cyber security plugins are content marketing greatest ally. Cyber security consultants like to talk about how easy WordPress is to hack. Yes. This because they know that the WP platform does allow, in some plugin configurations, an unethical hacker to gain access to a website. This post focus on WordPress websites only. So, I’ll concentrate on how to make it more content effective, user friendly and more secure. The only problem you may face is that WordPress’s security also depends on the way the user sets up the core files and plugins. Obviously, this makes it an easier target for hackers who know that WordPress are often prone to potential security issues. I recommend Wordfence – among the best security plugins at this moment in time – offer great features and will keep your WordPress more secure. It blocks brute-force attacks and offers you the option to add two authentication via an SMS. It also includes a firewall to block fake traffic, scanners and botnets. 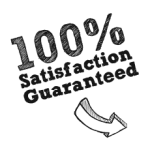 Offers a free (good enough) and premium version – the paid version adds multiple layers of protection. Pros: Includes Firewall, malware scanner, and live traffic. They’ve improved major features, offering dozens of security settings – from scanning core files for suspicious changes, to blocking countries or individual IPs. Cons: It will take you some time to master and/or get it set up correctly. Other strong candidates to consider: “All in One WP Security” & Firewall”, “Bulletproof”. Malware scanning, exploit scanning and brute force protection are some of the features which you must have in your plugin. I’ve described the essential WordPress plugins everyone should have. I tested, know and trust all nine. When creating content marketing you’ll need ideas, processes, tools and resources. This is where the plugins described above will came handy to help you analyse, build and improve your content. I hope you’ll also pick one of the great security plugins I mentioned – I know there is plenty more out there, but these are the ones I recommend. All will evolve based upon user recommendations, needs and adapt themselves to new hacking techniques. So, having security plugins is a must going forward, because they bring great protection to your precious content. If you’re a small business I’d recommend to download all the plugins. Try more, but do not download unnecessary plugins – just the ones you need or fit your business. In the event you’re unhappy with your website loading pages – run a website speed performance, check which plugins are slowing site down and/or if the problem comes from your web hosting provider. You will feel more confident and relaxed after having done these – but remember to check and update your plugins every 2-3 days. Plugins installed in your website that do not offer consistent updates, I’d suggest to deactivate and get rid off them. Final thought, I am a firm believer going forward that “live protection” solutions are the way of the future. Do share your comments and if possible the great plugins you’ve tried.